Lyndie Horton is our Registered Dental Hygienist. 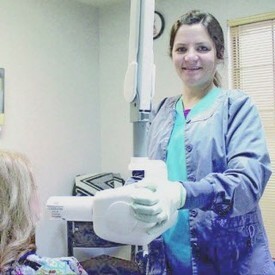 She started her career at Swink Dental Clinic in July 2007. Lyndie graduated from Stigler High School in 2002. She attended Northeastern State University from 2002-2005. She received a Bachelor of Science in Dental Hygiene from the University of Oklahoma College of Dentistry in 2007. She is a member of the American Dental Hygienists Association. She has volunteered her time at the free dental clinics for the Oklahoma Missions of Mercy. Lyndie is married to A.J. and welcomed their daughter, Dylan, in April 2016. Michelle Stallard is our Head Registered Dental Assistant certified in Radiation Safety and Protection, Coronal Polishing and Fluoride Application, Placement of Pit and Fissure Sealants, Administering Nitrous Oxide, and is our Office Manager. She started with Swink Dental Clinic in August 2009. Michelle graduated from Stigler High School in 1990. 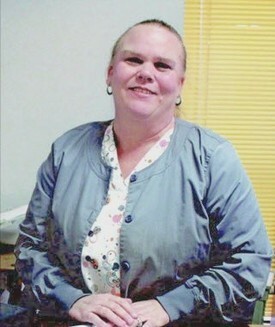 She attended Bryan Institute in Tulsa for Dental Assisting in 1991. She also received an Associate in Science from Carl Albert State College in 2008. She has volunteered her time at the free dental clinics for the Oklahoma Missions of Mercy. Michelle is married to Abel and has a daughter, Andrea, and a son, Ty. Ryann Worsham is a Registered Dental Assistant certified in Radiation Safety and Protection, Coronal Polishing and Fluoride Application, Placement of Pit and Fissure Sealants, Administering Nitrous Oxide, and is our Recall Coordinator. She started with Swink Dental Clinic in February 2005. Ryann graduated from Stigler High School in 2001. She attended Green Country Technology Center and received her certification in Dental Assisting in 2004. Ryann is married to Nick; they are active members at Eastwood Assembly of God Church. 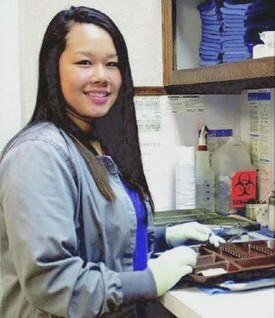 Sia Xiong is a Registered Dental Assistant certified in Radiation Safety and Protection, Coronal Polishing and Fluoride Application, Placement of Pit and Fissure Sealants, and is our Lab Coordinator. She started with Swink Dental Clinic in October 2015. Sia graduated from Broken Arrow High School in 2010. She attended Community Care College for Dental Assisting. After graduating in 2012 she went straight into the dental field. Sia's goal is to continue her education to become a dental hygienist and eventually a dentist. Bailey Bryant is our Scheduling Coordinator. She started with Swink Dental Clinic in June 2016. Bailey graduated from Stigler High School in 2014. She attended Eastern Oklahoma State College and graduated with an Associates degree in Business Administration in 2016. She is a people person and enjoys helping others. Bailey would love to help you schedule an appointment with us. Emily Hurt is our Insurance and Billing Coordinator. She started with Swink Dental Clinic in July 2009. Emily graduated from Ada High School in 1991. 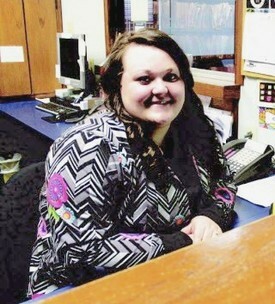 She attended Kiamichi Technology Center for Business and Technology. She was inducted into the National Honor Society, member of the Business Professionals of America, and served as president of the local chapter. Emily is married to Jerry II and has one son, Jerry III.